Good oral health involves more than brushing and flossing – fluoride, diet, and mouth guards also are a big help. In this video from the ADA, Dudley learns all about these types of dental care in a relatable classroom environment, educating your young patients in the process. Dudley’s Classroom Adventure is a fun and informative streaming video that details oral health with beneficial tips and guidelines. Brushing and flossing are a great start to oral health, but there’s a lot more to learn in addition to that. With this video, we find Dudley the Dinosaur being educated in the classroom on a series of subjects. Topics featured in the video include how fluoride strengthens teeth, why a nutritious diet benefits oral health, when and how to use mouthguards, and what a sealant is. Each Dudley video you purchase is instantly accessible through your online ADA e-bookshelf. To learn more about the entire Toothflix video series, visit ADA.org/toothflix. 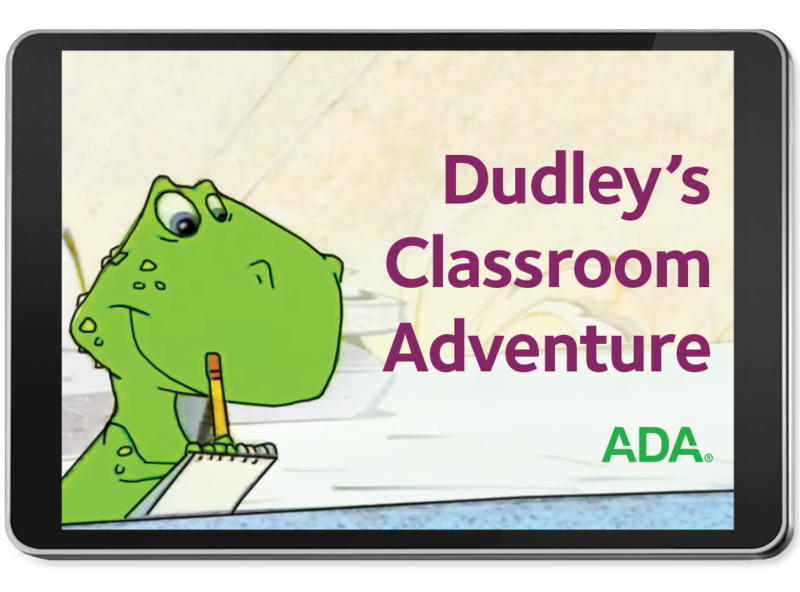 Order Dudley’s Classroom Adventure – ADA streaming video today to keep your young patients informed on good oral hygiene practices.